Transparency Market Research Reports included a detailed market survey and analysis trends on “Hydroxyethyl Cellulose Market”. This report also includes more info about basic overview of the industry including definitions, applications and global market industry structure.Hydroxyethyl cellulose (HEC) is water soluble, nonionic derivative of cellulose ether. It is synthesized by etherification of alkali cellulose and ethylene oxide. HEC used as cement extender, binder, and protective colloid, shape retention enhancer, coating polymer, lubricity and workability enhancer and suspension & stabilization agent. End user industries of HEC include building & construction, adhesives & sealants, oil & gas, paints & coatings, pharmaceutical, personal care & cosmetics, metal casting & foundry and paper & pulp industry. High purity HEC is required for personal care & cosmetics applications. Growing demand from personal care & cosmetics industry is expected to drive the HEC market. It acts as binder, stabilizer, thickener and dispersing agent in daily personal care and cosmetics products that increases lubrication, density and improves appearance of them. Changing lifestyle and rising disposable income is driving personal care market in developing countries. Demand for personal care products used in daily routine is driven by growing population in developed as well as developing countries worldwide. In addition, growing demand for HEC in paints and coatings industry is expected to drive the market. HEC provides excellent coating performance for PVA latex paints with no flocculation. HEC has high thickening effect and therefore improves thickness of the paints that reduces flocculation. Use of HEC in paints enhances washing resistance and improves cost effectiveness of paint formulation. New infrastructure investment in emerging economies and improvement of existing infrastructure in developed countries is driving the paints and coating industry. Further, HEC demand from oil well and drilling industry is expected to boost the market growth. It can be used as cementing agent or thickener or workover fluid in oil wells. HEC helps in reducing damage to oil well structures by helping in creating clear solution with low fixed content. However, hazardous air pollutants emissions during production and explosion issues are expected to inhibit the HEC market growth. Development of new derivatives and new applications of cellulose is expected to create raw material scarcity for the production of HEC. This scarcity of raw materials may hamper the market growth. Development of new applications in pharmaceutical and medicine field is expected to provide opportunities for the players in this market. Hydrophobic drugs and capsules made from HEC are easily absorbed by intestinal walls which makes it ideal ingredient to be used in pharmaceutical applications. Other new applications include ointment, food, paper making and polymerization agent that may provide opportunities in the near future. Europe emerged as market for HEC in terms of consumption and production. However, major players in this market are shifting their production plants to China due to availability for raw material, expansion of existing facilities and investments in building new infrastructure. Growing paints & coatings and personal care industry are expected to drive the demand for HEC in this region. Europe was followed by Asia Pacific in terms of production of HEC. The demand from building & construction industry and oil well drilling industry is expected to drive HEC market in this region. Rising exploration activities and improving recovery from existing oil wells in China is driving the oil well drilling industry. Improvement of existing infrastructure and need to enhance hydrocarbon recovery from existing oil wells is driving oil well drilling industry, which in turn expected to boost the HEC demand in this region. HEC market is highly concentrated with two of the major players accounting for more than half of the market. Some of key players in this market include Dow Chemical Company, Ashlan Specialty Chemicals, Daicel Fine Chem Ltd. and Performance Additive among others. Transparency Market Research Reports included a detailed market survey and analysis trends on “Healthcare IT Market”. This report also includes more info about basic overview of the industry including definitions, applications and global market industry structure. Transparency Market Research Reports included a detailed market survey and analysis trends on “Molecular Spectroscopy Market”. This report also includes more info about basic overview of the industry including definitions, applications and global market industry structure. Spectroscopy is one of the most advanced and famous analytical technologies used extensively in large number of fields, from healthcare to manufacturing. Spectroscopy is the measurement of interaction between radiated energies emitted by certain matter. The spectroscopy is considered as a function of wavelength. In spectroscopic studies, electromagnetic radiations are allowed to pass through the sample to be analyzed; the sample molecules absorb only those wavelengths which can convert their energy level, from ground state to excited state. The detector installed on other side of device, records and analyzes the wavelengths which were absorbed and their respective proportion. In case of molecular spectroscopy, the given sample molecule absorbs only those wavelengths which have energies that correspond to energy difference of occurring transition. Hence, if the transition needs energy difference of delta E, the sample molecule will absorb only radiation that corresponds to delta E. Further, the nature and proposition of wavelength absorption gives the idea about the transition energies, which is correlated and the structure of molecule is estimated. The market of molecular spectroscopy is segmented on the basis of types of spectroscopy, such as, NMR spectroscopy (Fourier Transform NMR, continuous wave NMR, solid-state NMR), Raman Spectroscopy (FT-Raman, surface-enhancing Raman, micro-Raman, and others), UV-Visible spectroscopy (single-beam UV, array-based UV, double-beam UV), mass spectroscopy, Infrared spectroscopy (Near IR, Mid-IR, Far-IR), and others. Further the market is segmented on the basis of applications, namely, microbiology, bio and nanotechnology, pharmaceuticals, chemistry, biopharmaceuticals, food industry, manufacturing industry, environmental analysis and many others. Furthermore, the market is segmented on the basis of geography, such as, North America, Europe, Asia-Pacific and Rest of the World (RoW). Currently, North America and Europe are the most prominent markets, owing to extensive research practices. However, Asia-Pacific and some countries in RoW region are expected to show very lucrative growth in the upcoming period, owing to enhanced governmental support for research purposes and growth in research infrastructure and technologies. The market is driven by many inflowing drivers, such as, rapid growth in penetration of technology in the R&D field of various sectors, increased demand for hyper-sophisticated analytical instrument by various global research organizations, enhanced governmental support for research purposes, increased emphasis by pharmaceutical and chemical organizations on the discovery of newer molecules, frequent rise in international standards for food and drug safety enforces the use of hyper-sophisticated equipment in industry and others. Rapid growth in R&D practices is considered as the most important driver of the market growth. For instance, according to the European Federation of Pharmaceutica Industries and Association (EFPIA), the total R&D expenditure by pharmaceutical companies in EU27 countries was around USD 41,000 million, in the year 2012. Furthermore, due to enhanced penetration of technology, the utilization and hence demand for the advanced equipment is rapidly increasing. On the other hand, major restraints include huge expenditure for initial set-up and instrumentation, high cost of maintenance, need of technically well skilled personnel and limited awareness in many countries of the world. Initial cost is the biggest hurdle in the market growth. For instance, the basic instrument of UV-Visible spectroscopy (the easiest and used method) costs around USD 5,000 to 14,000. The key opportunity includes development of cost-effective devices with enhanced accuracy of the results. Some of the major players operating in this market includes PerkinElmer, Inc., Aglent Technologies, Inc., Thermo Fischer Scientific, Inc., Bruker Corporation, Jeol, Inc. and Danaher Corporation amongst others. 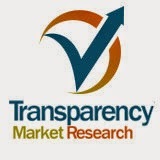 Transparency Market Research Reports included a detailed market survey and analysis trends on “”. This report also includes more info about basic overview of the industry including definitions, applications and global market industry structure.Biopharmaceutical industry is one of the major contributors in global economic progress. Due to globalization, outsourcing of the biopharmaceutical processes has increased to great extent. Complexity of processes and technology oriented industry companies started finding it feasible for outsourcing processes to experts. Outsourcing also helped corporate in cost reduction and better focus on core business segments. Once considered as a cost saving alternative, outsourcing of biopharmaceutical business is now a strategic decision. Biopharmaceutical market is very competitive and global players occupying majority of market share operate in same geographies. Although advent of generics is an opportunity for small pharma companies, it is major threat to branded drug manufacturers. It forces companies to invent new sources for revenue generation. Rising cost of drug discovery, regulatory policies and drug recalls have added to worries. Under such circumstances, biopharmaceutical companies have started outsourcing their non-core and some core businesses to externs. Due to complex nature of biopharmaceutical business, various outsourcing opportunities have been created across the value chain. One of the major problems that companies face in the era of globalization is the trade barriers to enter in a new market. Outsourcing can prove to be an important factor in overcoming the trade barriers and gain entry into to a foreign market. By outsourcing business, companies also gain access to new technology, with reduced investment cost. This dictates better operational and financial efficiency. Major outsourcing opportunities exist in drug discovery, clinical trial management and logistics, manufacturing, and distribution. Owing to global reach clinical trial management is one of the fastest growing outsourcing businesses in biopharmaceutical industry. Various companies have expertise in clinical trial logistics; some of them include Parexel, World Courier, DHL, Pharmaceutical Product Development, LLC, B&C Group, and Fisher Clinical Services. Outsourcing of research and development activities has also reduced the time-to-market time. Thus companies can launch new products at a shorter time span, thus developing competitive edge. With increasing trend in outsourcing manufacturing, original equipment manufacturing (OEM) business is growing rapidly. IT and packaging are also major areas where biopharmaceutical companies prefer outsourcing business. Rapidly developing technology and lack of expertise has given rise to services such as molecular imaging, companion diagnostics, construction of antibody library, cell line and biomarker development, and genomic testing. Various companies are taking the strategic decision for better business management. In 2011, Pfizer signed an agreement with Parexel for clinical development services; Astra Zeneca also signed a deal with IBM for IT outsourcing in 2013. Outsourcing also allows better resource utilization for maximum productivity. Geographically Asia-Pacific is expected to be the major point of focus for biopharmaceutical outsourcing market. India and China are the most preferred destinations for outsourcing, where large pool of skilled labor is available at lower cost. High costs in western countries have also a factor contributing to flow of biopharmaceutical outsourcing to Asia-Pacific region. Biopharmaceutical outsourcing market also faces certain drawbacks. Outsourcing business comes with its own risk of credibility. In 2013, GlaxoSmithKline filed a lawsuit against Hospira, for not complying with quality standards. Hospira may pay USD 25 million to compensate the damage. Other factors restraining market growth are lack of control and coordination in processes, and real time process updates. To overcome these drawbacks proactive risk management and effective process control must be considered as prerequisites for outsourcing business. Ever since the arrival of laser (light amplification by simulated emission of radiation) technology, it has been used for various applications such as spectroscopy, ranging, microscopy and targeting. The purpose of these applications was either the scientific/laboratory experiments or the measurement/exploration of distances. The above mentioned application did not promote laser technology on the commercial front. Conversely, lasers have become robust, compact and versatile with the technological developments. These technological developments triggered the commercial and industrial applications which include modeling, micro-machining, shaping & sizing objects and materials, precise sculpting and contactless imprinting which is at present collectively referred as laser processing applications. Factors such as government regulations for compulsory use of laser marking and demand for the aesthetics are contributing to the market’s growth. Additionally, the introduction of direct diode lasers and emerging applications in oil and gas exploration filed are some of the factors driving the laser processing market. However, high initial investment & maintenance cost and Eurozone crises are some of the factors restraining the growth of laser processing market. The revenue generated from laser processing applications is supported by five pillars namely defense & military, laboratory equipments, communications, compact disc read/write heads and material processing. The analysis in the report is balanced by quantitative as well as qualitative data which is further divided into sale volume, sales value and average selling price data sets. Each of the mentioned data set contains estimated, historical and forecasted values. This report briefly explains the market drivers, challenges, opportunities and trends of laser processing market and forecasts the market to 2019. The laser processing market report is segmented on the basis of technology, process, machine configuration and vertical. It further provides a detailed segmentation analysis of the market based on the geographies – North America, Asia-Pacific, Europe and Rest of the World (RoW). In addition, major countries contributing to the market have been analyzed with detailed representation of volume and value data. The report also provides data in qualitative form with the help of various models and tools. Value chain analysis, porters five force analysis, market dynamics, market attractive analysis are some of the analysis models discussed in the report. The market segmentation is done by considering the demand side as well as the supply side market parameters. Segments such as application, vertical and geography segments describe the demand side market and techniques, machine configuration and technology define the supply side market. The segmentation by technology divides the market on the basis of various laser technologies such as solid state lasers, CO2 laser, excimer lasers and fiber lasers. Alternatively, the machine configuration segment explains how the above mentioned lasers are used. On the basis of their material type, the lasers can be used in pulsed mode or continuous mode. This market research report includes competitive profiling of leading players in laser processing market. These company profiles consist of company overview, financial overview, business strategy and recent developments. Some of the key industry players with the most noteworthy product developments include Universal Laser Systems, Epilog Laser, Needham-laser, Trotec Laser, Inc., Eurolaser, SEI Laser, Xenetech Global, Inc. and LaserStar. An active optical cable is a wiring technology which accepts the same electrical inputs as a conventional copper cable, but makes use of optical fiber between the connectors. In order to improve the cable’s distance and speed performance without sacrificing its compatibility with standard electrical interfaces, the active optical cable uses electrical to optical conversion on the cable ends. The active optical cables market is largely driven by the rise in the processor speeds, growing demand for higher bandwidth speeds. Additionally, the advancements in fiber optics technology are also contributing to the growth of active optical cables market. Moreover, copper connectivity faces some limitations such as low bandwidth, optical fibers are being preferred. As new consumer bandwidth demands up to 20 GB per second, consumers are now demanding smaller cables and innovative footprints. Optical fibers are thinner, longer, lighter and stronger in comparison with copper cables.